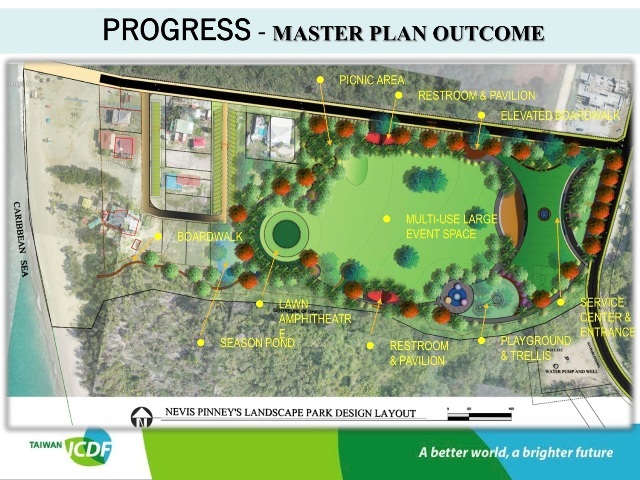 NIA CHARLESTOWN NEVIS (April 12, 2019) — The first of two stakeholder consultations for the proposed Pinney’s Recreational Park was productive. Mr. John Hanley, Acting Permanent Secretary in the Ministry of Tourism, made the comment at the end of the meeting at the Red Cross Conference Room on April 11, 2019. The consultations are being held to share the planned design for the development of the park and to stimulate feedback. The first meeting was held primarily for government and private sector stakeholders operating at Pinney’s Beach. The second meeting will be held shortly for the general public. “I thought the meeting was successful. There was great enthusiasm expressed by the stakeholders who were impressed with the features of the park. “Their main concerns were about flooding and drainage, wastewater treatment, the financial sustainability of the park, vehicle parking and measures that would be put in place for the overall management of the park. Stakeholders presented very useful suggestions on these matters which will be incorporated into the design where possible,” he said. At the start of the consultation, Mr. Hanley explained that the design for the park is the culmination of more than three months of close collaborative work with the Taiwanese Technical Mission and on completion, will represent the more than 30-year friendship shared between the government and people of the Republic of China (Taiwan) and the Government and people of St. Kitts and Nevis. The project will be funded jointly by the Republic of China (Taiwan) and the Nevis Island Administration. 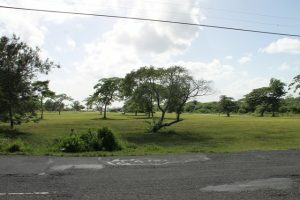 The development will be spearheaded by the Taiwan Technical Mission in St. Kitts and Nevis under the leadership of Consultant Mr. Vincent Lai, who also spearheaded the development of the Eco Park in St. Kitts. On completion Mr. Lai said the Pinney’s Recreational Park will be a public space designed to be multifunctional and sustainable. It will also incorporate disaster prevention and eco-design. The facility will also be suitable for community participation and empowerment and capacity building. According to the master plan, the facility includes a visitor centre located at the main entrance of the park adjacent to the main road. The landscape design concept for the centre will provide visitor viewing platforms. It will have a “green-roof” design. The centre will be use to provide services including tourist information, and the park’s administrative office will be located there. It will also be outfitted with a stage from which concerts can be staged, an audio-visual room, solar lighting, a security guard room and display space. Toilets and parking lots will also be located in that area. The design will incorporate the symbolism of both the Republic of China (Taiwan) and Nevis, provide accommodation for bus stations and rainwater collecting facilities. The rainwater will be recycled for use in the children’s playground which is designed to enable them to play in water, walk, cycle and to enjoy outdoor sporting activities. Also included in the design is a lawn amphitheatre and board walks where persons can jog or stroll. The amphitheatre can be used for small events and is capable of seating about 120 persons. The park will also have a shaded BBQ/picnic area. St. Kitts and Nevis requested Taiwan’s assistance in building the park in February 2018 following which, a delegation of experts was sent from Taiwan in August 2018 to conduct an evaluation of the park project. 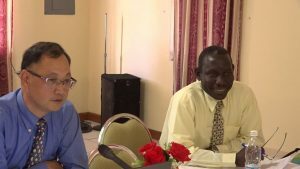 The Taiwan Technical Mission in St. Kitts and Nevis commenced preliminary work on the project in January 2019. The project proposal was later approved by the Taiwan International Cooperation and Development Fund (ICDF) in March 2019. The Taiwan Technical Mission was mandated to produce design details and drawings in April 2019 and the ground breaking ceremony is expected to be around July 2019. Among those present a the consultation were Ms. Tamica Lawrence, Coordinator of the Pinney’s Recreational Park Project; and Mr. Huey Sargeant, Permanent Secretary in the Ministry of Agriculture.